With over twenty years of experience in the real estate industry, Carl specializes in listing and selling residential and commercial real estate as well as professional development and business coaching. Carl is well known for providing outstanding client counseling, education and service through the rigorous task of buying and selling real estate. He has a diverse background in the fields of real estate accounting and third party property management. His attention to detail and the emphasis he places on educating his clients throughout the transaction, has earned him high accolades from loyal clients and business associates. In 2003, Carl was awarded the Prince George’s County Rookie Realtor of the Year Award and has continually been recognized as one of the most knowledgeable Brokers in the Washington, DC Metropolitan Area. 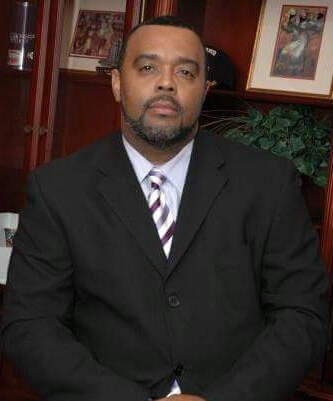 Carl is a member of the National Association of Real Estate Brokers (NAREB) where he presently serves as the Local Board Chairman of the United Realtists of Prince George‘s County. Over the years he's played a very active role in the Prince George’s County Association of Realtors. As an active member he served on various committees, the Legislative Committee and the Professional Standards Committee just to name a few. Through the skills and disciplines acquired in the United States Marine Corp and as a member of the Prince Hall Masons, his strong work ethic has afforded him a unique style that has become the hallmark of his successful professional career. As a Prince Hall Mason he has served on the Board of Directors and has chaired several committees. As a result of his hard work, dedication, and leadership as a Mason, he was awarded the Roscoe C. Cartwright Lodge #129 McDougal Award, for Mason of the Year in 1997. In addition, his commitment to his community is further demonstrated through his untiring efforts and support to his church, First Baptist Church of Glendaren. He plays a very active role in several ministries, Maximizing Manhood, Food for Family and Samson Dilemma as well as the Discipleship Ministry. As the former Principal Broker / Owner of iTriumph Realty Solutions, LLC it was Carl's mission to dedicate himself to making the process of buying or selling both residential and commercial real estate as easy and satisfying as possible. To date, he is now the Virginia Broker of Record for Re/Max Supreme located in Bowie and Oxon Hill, Maryland. He currently holds Brokers Licenses in the District of Columbia, Maryland and Virginia. As a professional Real Estate Broker, Carl also holds designations as a Certified Distress Property Expert (CDPE), Accredited Commercial Practitioner (ACP) and a REO / Foreclosure Certified Broker. In addition, he’s a International Business Coach with the #1 Real Estate Coaching Company in the Country, Tom Ferry International. With over 30 plus business coaching clients both nationally and internationally, his commitment to enhancing the success of others speaks directly to his character and professionalism. He consistently remains honest and forthright by placing the clients’ best interest in the highest regard throughout the process of their development. His ability to provide strong accountability to the client in efforts to obtain excellence is a key factor in which his business is built upon. Carl has expanded his portfolio to include iTriumph Enterprises, Inc., where he serves as President / CEO. He also holds an Honorary Doctorate Degree from the CICA International University and Seminary. Carl is also committed to providing financial literacy and education with a strong emphasis on credit awareness throughout the community in which he serves. He believes providing a more comprehensive and educational approach to buying and selling real estate or enhancing the development of business owners is the means for executing excellence.